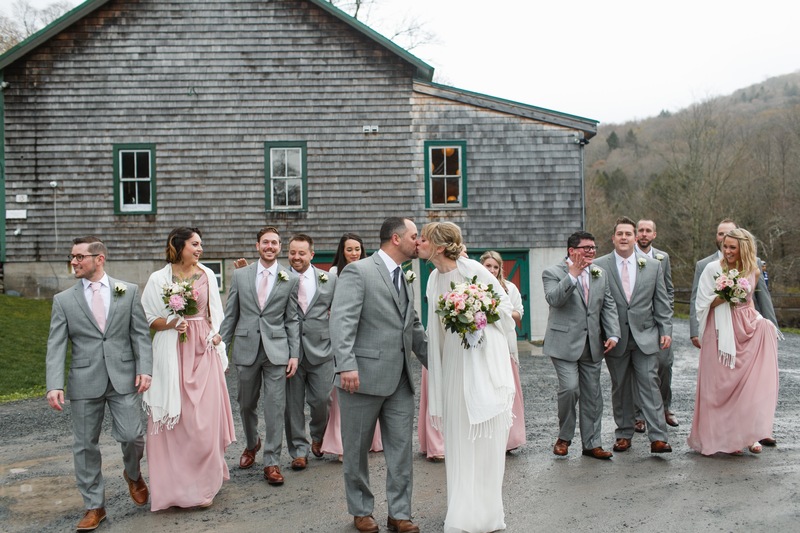 Lydia and Chad tied the knot at the Full Moon Resort at the Catskill Mountains in Upstate New York. 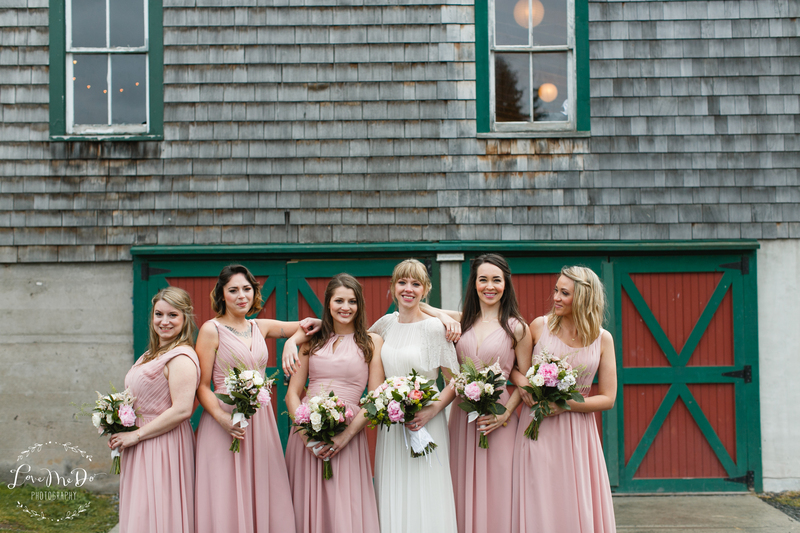 Both love the mountains and being outdoors and were looking for a barn wedding as well as a venue that could offer overnight accommodations for the wedding party. 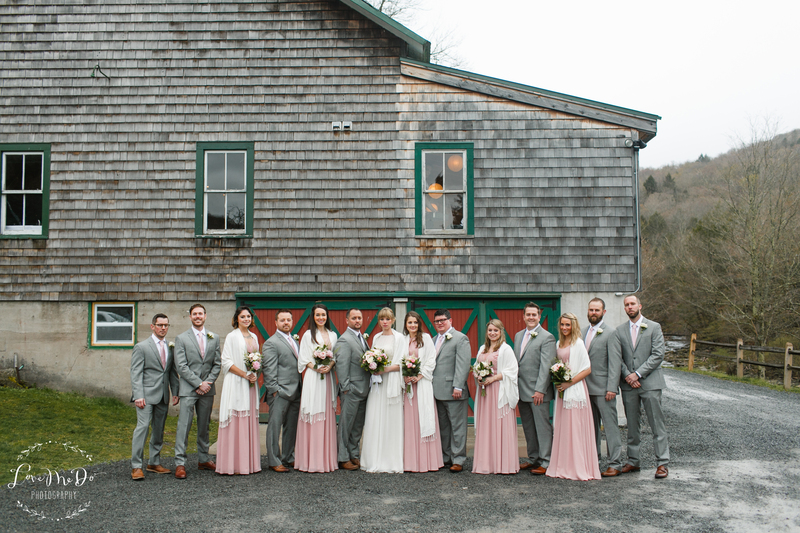 Full Moon was the perfect spot for their rustic barn wedding and had enough rooms for all the wedding guests to stay on-site the night of the wedding. 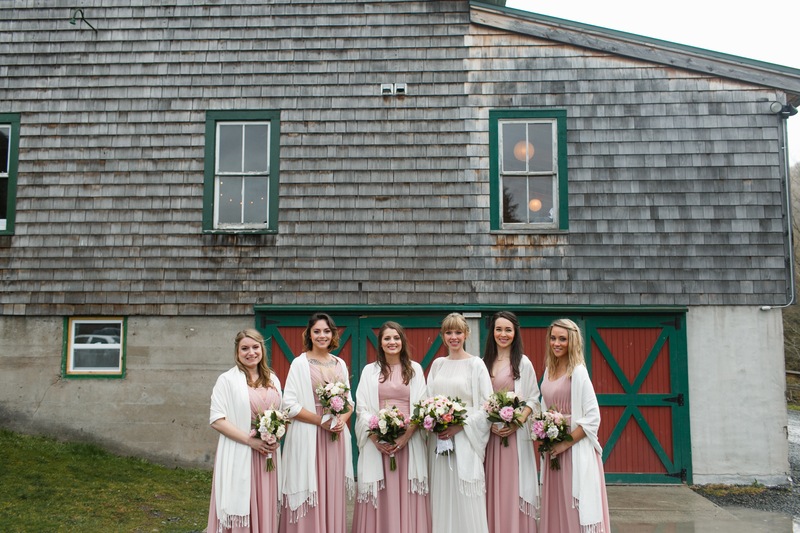 Her bridesmaids looked gorgeous in our Ellen, Leanna, Cherish, Hillary and Lanette in Dusty Rose. The groomsmen were also in matching Dusty Rose ties! All photos were taken by Love Me Do Photography. Q: What was your wedding theme? Q: Any tips for those getting married soon? Q: How’d you find Azazie? I found Azazie internet searching “Dusty Rose Bridesmaids Dresses.” I also saw a Buzzfeed article! Where did you get the white shawls? Very pretty with the dusty rose dresses!